What is a gza file and how do I open a gza file? A BGA archive file may contain one or more files that have been processed using the BGA compression algorithm, and a BGA archive file integrated with these BGA compression specifications are saved in the GZA format. A GZA file has a smaller file size than the actual size of its content when uncompressed. A GZA file can be created and appended with the .gza format when saved using the IZArc software, which is classified as a program integrated with file compression and GZA decompression functionalities. Onle a few file compression and decompression applications are implemented with support for BGA compression standards and specifications. 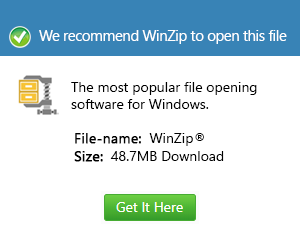 More widely used compression standards are implemented by the ZIP compression technology and the GZIP compression algorithm, and these generate archived files and folders in the ZIP format and the GZ format, respectively. With the popularity of these ZIP and GZIP compression technologies, many file compression and decompression tools developed for Mac, Linux and Microsoft Windows-based systems are implemtend with support for these ZIP and GZ files.